Red slug on the ground. 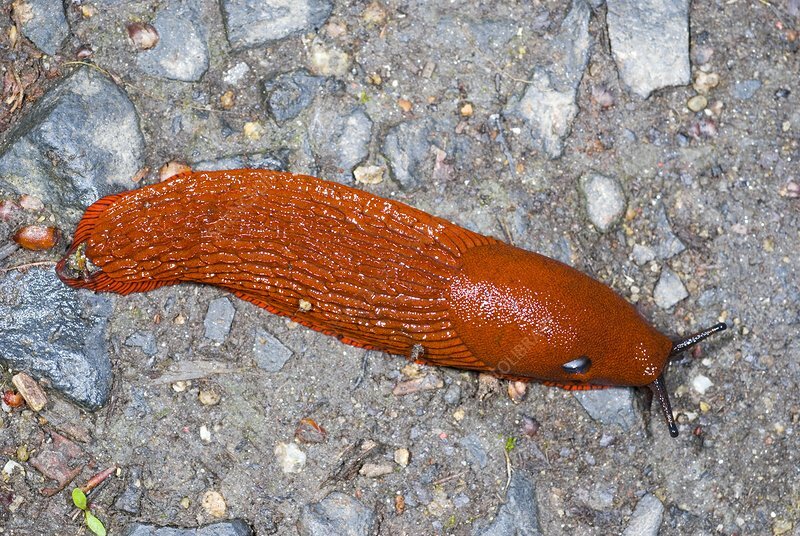 Red slugs (Arion rufus) are mostly found in Denmark, where it was introduced by some scientists into a forest near Silkeborg in 1913. As a result of human intervention it has spread to the rest of East Jutland and has since migrated to Germany, Luxembourg, Poland, Sweden, Norway Great Britain and recently, France. Photographed in Poland.